Often inspiration arrives unexpectedly, as it did this past April in the form of an email. As I browsed through my new email list, one item stood out. 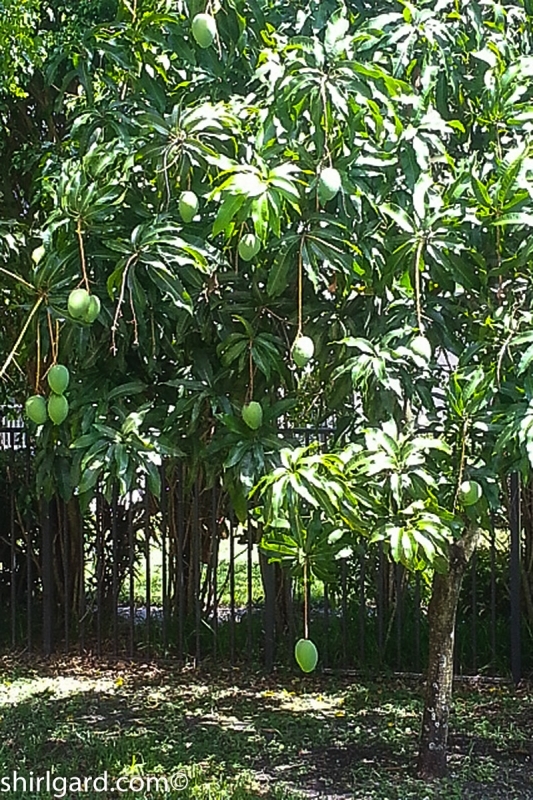 Aside from the fact that it was from my son, Greg, who I am always happy to hear from, the subject matter definitely alerted my curiosity; it just said “mangoes”, but the email message itself didn’t give many details: “our mango tree is almost ripe. hope all is well. will call in a bit. gg”. I noticed immediately that there was an attachment, a picture of a mango tree literally dripping with green mangoes. “Dripping” was the best word I could think of to describe the way each mango hung from the tree on its own long stem. 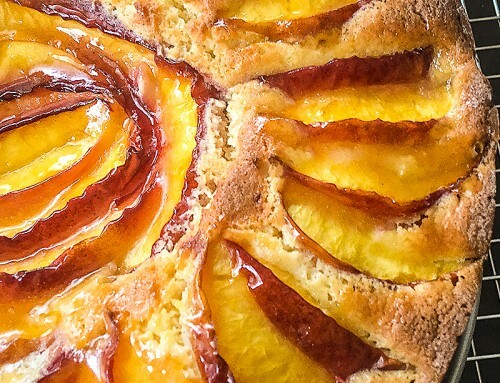 Greg and his wife, Alicia, had just rented a house in south Florida in January, and now found themselves the custodians of a dripping mango tree loaded with ripening mangoes. This was the first inkling I had that mangoes might be in my future. 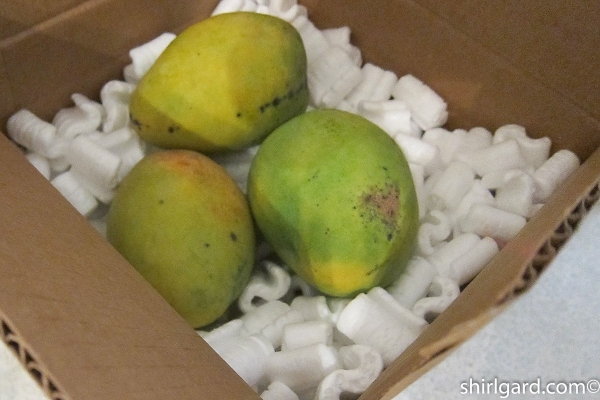 As Memorial Day weekend approached, I received another email from Greg telling me that “the mangoes are ready” and he would be shipping me a box in a few days. 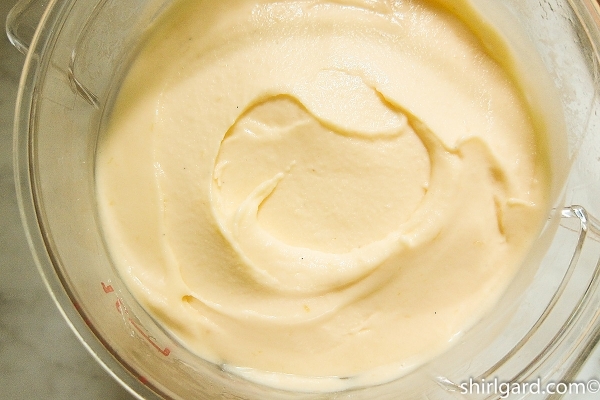 This time, the subject line said: “best recipe for mango ice cream and/or gelato?” Greg and Alicia had dusted off their old Cuisinart ice cream maker and wanted to make some ice cream or gelato; they needed a recipe. 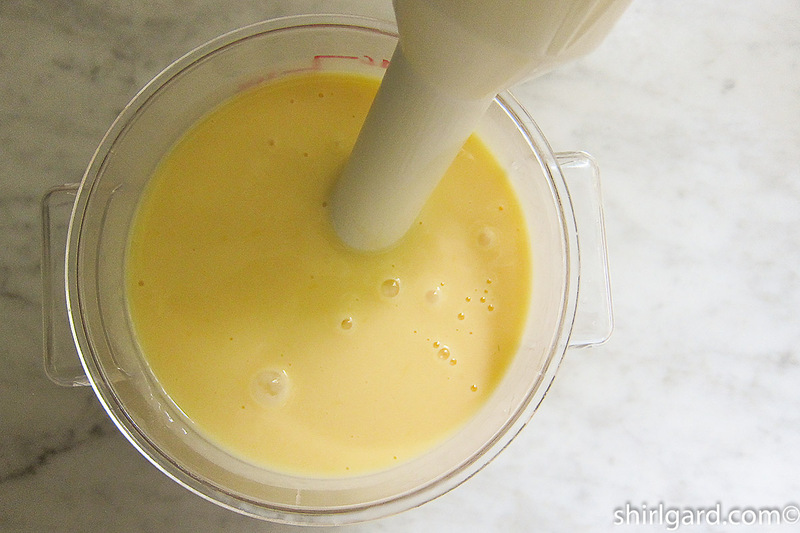 Of course I have a recipe, but it is a professional recipe from my pastry chef days and makes fourteen quarts of mango gelato; the basic gelato mix for it calls for eight half gallons of milk and two half-gallons of heavy cream. 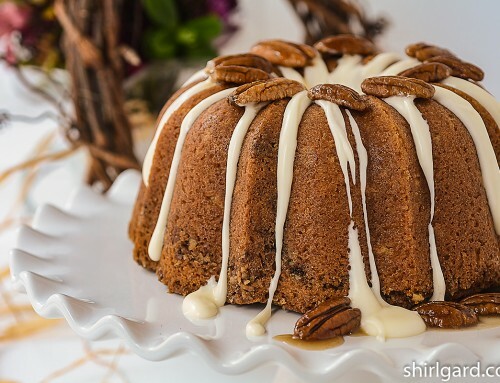 The professional recipes also use several ingredients that are not available to the home cook, so this was an issue also; I’d have to make some substitutions. Where to start? 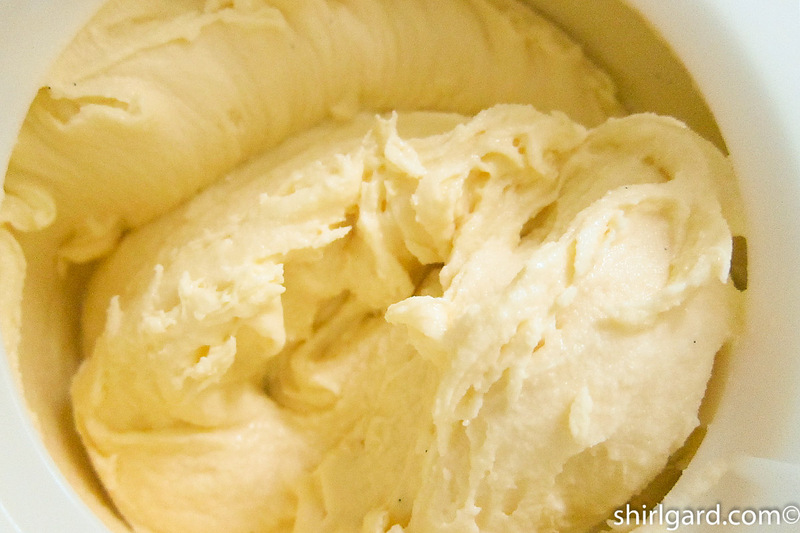 I knew that I had to start at the beginning and create a home-size gelato mix, which is a gelato base that is one of the basic ingredients in almost all of my gelato flavors. 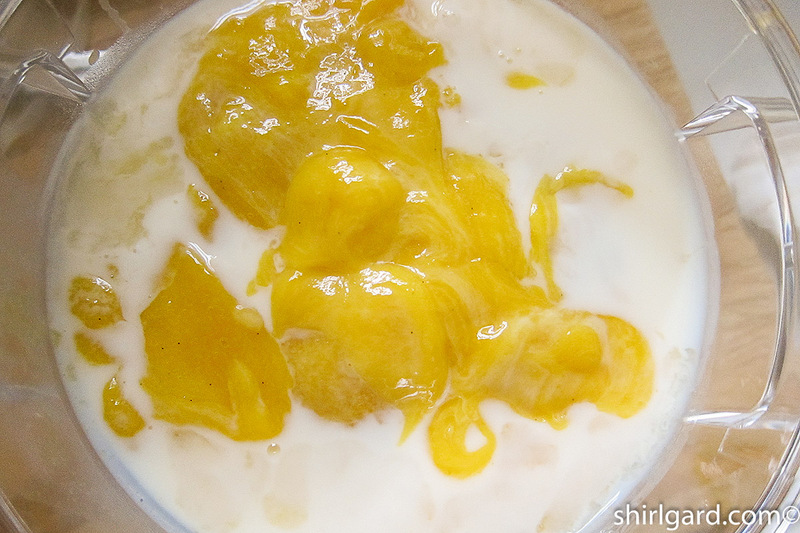 It took ten tries to get the recipe to my liking, (I love a project and a challenge like this) and you can see the results of all this testing in my last post: Shirl’s Gelato Mix (7.01.15). 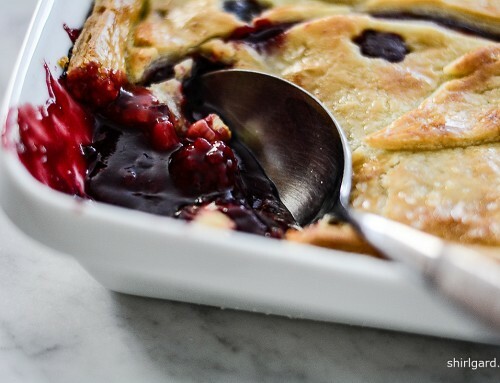 It calls for one quart of milk and a half-pint of heavy cream and is enough mix to make two one-quart batches of gelato when other flavoring ingredients are added. 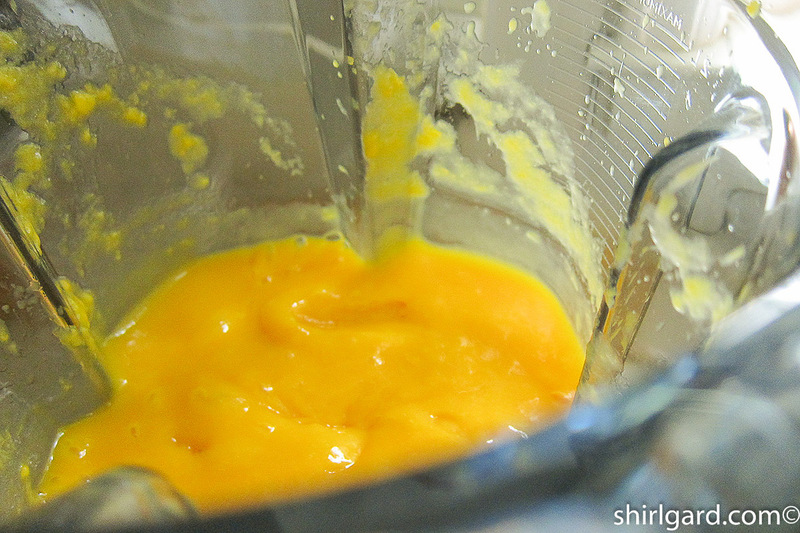 Next, my challenge was to create a one-quart home recipe for mango gelato. Since I have always liked the flavor combination of mangoes and vanilla, I chose to go with Mango Vanilla Gelato. While waiting for that box of mangoes from Florida, I headed out to the store looking for the ripest mangoes I could find so that I could begin testing my mango gelato. I had a choice: Champagne mangoes or organic mangoes from Mexico. I bought some of each and after I let them ripen a few days, they both tasted great, so juicy and sweet. Either of these varieties works for this gelato. The first question I asked myself was whether I wanted to use puréed fresh mangoes in the gelato or whether I wanted to cook them in some way. Which would give the gelato a better flavor? After several experiments, I decided that a little cooking concentrated the flavor. So I used a method that I’ve used many times before to make Baked Peach Purée. To use this method for mangoes, go to Baked Mango Vanilla Purée. 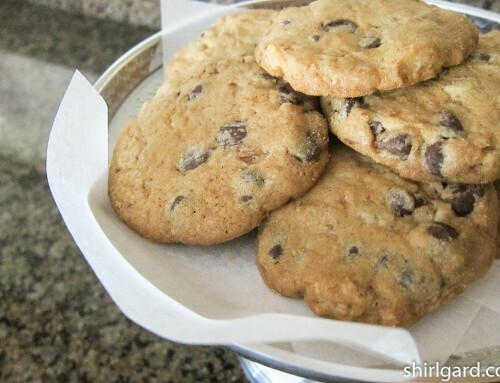 Here is a brief summary of how this method works: peel, then cut off chunks and spread them in a pan. 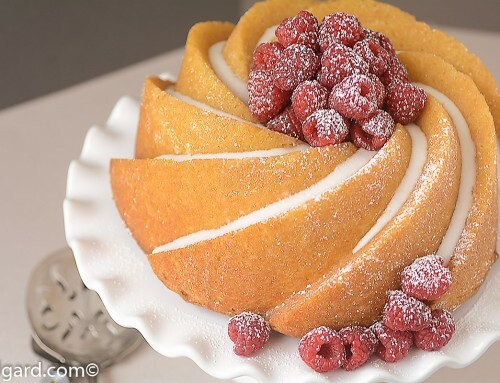 Rub vanilla bean seeds into some sugar, sprinkle over the mangoes, cover the pan with foil, and bake about fifteen minutes at 400°F (204°C). 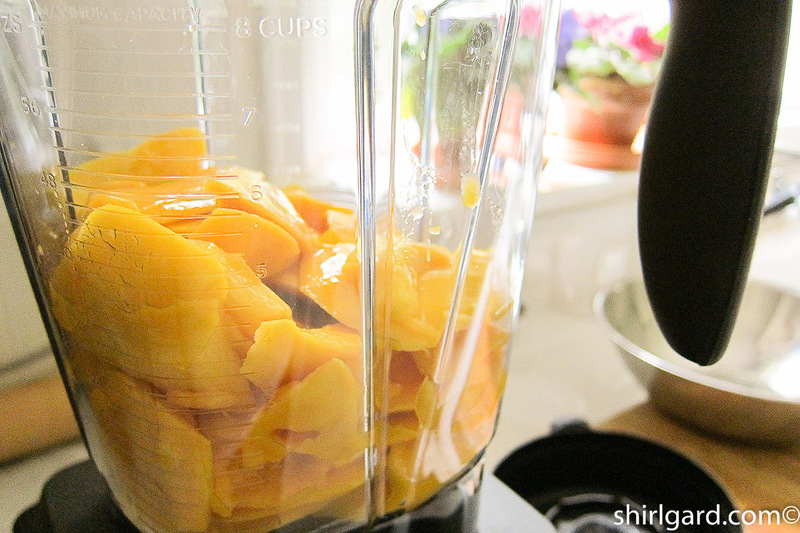 This is a good way to permeate the mangoes with a little vanilla flavor. When they are cool, purée in a blender and refrigerate until cold. Although I prefer baked purée for this recipe because it provides a little more flavor, you can also use fresh unbaked mangoes to make the purée. I recommend making the purée, whether fresh or baked, and Shirl’s Gelato Mix the day before you plan to make the gelato; this way they are both very cold (important!) when you are ready to mix and churn (spin) the gelato. 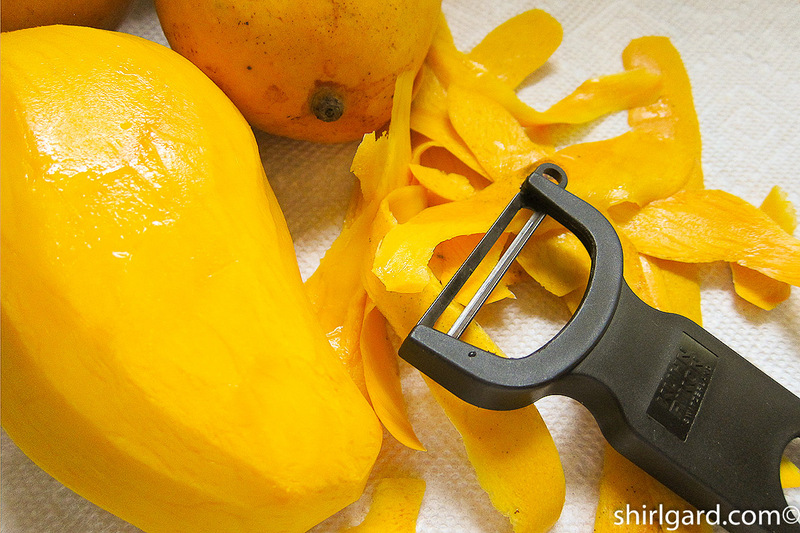 These photos show making the gelato with fresh Champagne Mangoes. 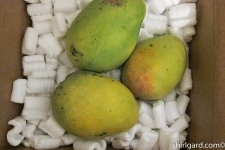 As I finished this post, the box of mangoes arrived from Florida, (more gelato ahead!) and I got another email from Greg: It read: “fyi. apparently we also have a guava tree. it is starting to bear fruit. lol”. Another project? Inspired by a mango tree in my son's yard in Florida. The mangoes are baked with a little sugar and a vanilla bean to get the best flavor before being puréed in a blender. If you are in a hurry, fresh mangoes can be puréed instead. It is best to make the purée and Shirl's Gelato Mix the day before so that they are both very cold when ready to mix and churn the gelato. Scale cold Gelato Mix into container. 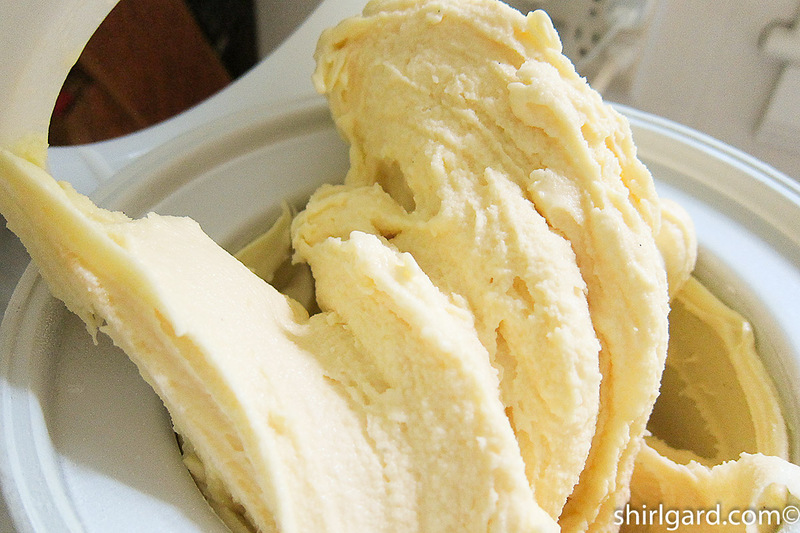 Place in freezer 30 minutes before churning to chill further, to 32° - 35°F (0° - 2°C). Doing this will reduce the time it takes to churn in ice cream maker, incorporating less air. Churn in ice cream maker according to manufacturer's directions. This recipe will fill a 1½-quart machine slightly more than half full, yielding about one quart of finished gelato. 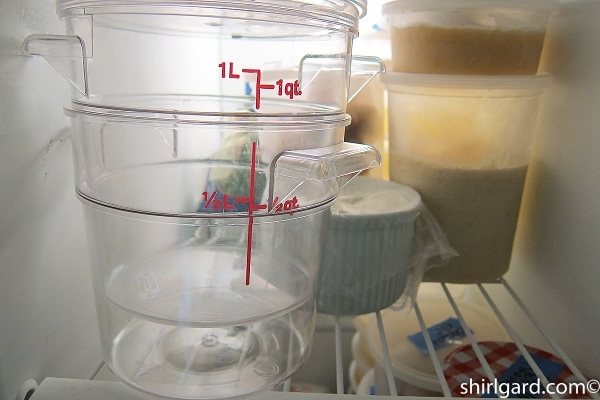 Pack into container and freeze several hours or overnight before serving..